Stack cards like it's a race to the finish. And it is! 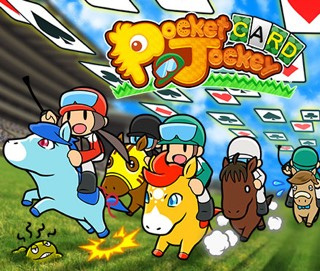 In this fast-paced mash-up of solitaire and horse racing, you'll jockey your way to victory by clearing cards to energize your horse. You can even level up your noble steed through strategic positioning on the track. 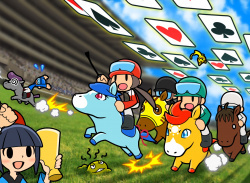 Can you master solitaire and horseback racing…at the same time?! After you get a dozen races under your belt, you can retire your horse—a sad moment for any jockey. However! You can relocate your horse to your very own farm and pair them with other retired horses to breed new ponies...that are completely adorable! Eventually these babies will pony up by maturing into horses that you can ride in competitions for prizes. You can then get items at Chirp's shop, such as puzzle pieces or temporary bonuses. 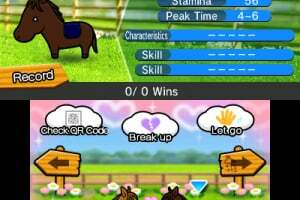 After completing certain puzzles, your horse will gain even more stats when leveling up. That's some next-level jockeying! 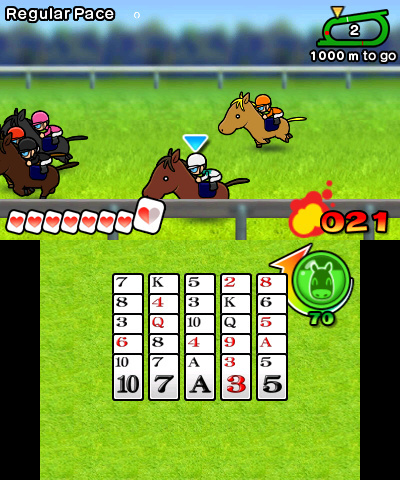 Solitaire + Horses = one crazy-awesome gaming mash-up! Wish reviews would include block size ? Anyone know what full block size Is in the complete game? According to the Nintendo eShop website it's 848 blocks. After only four days of playing, I have officially called it quits for this game. There's so many things wrong with it. 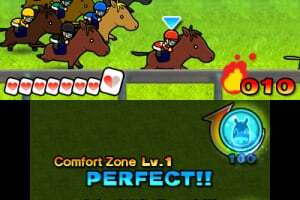 First, if you win just one G3 Cup, you're immediately transferred to a G1 Cup which is impossible to win since whatever horse you own still doesn't have the required speed or stamina to win. It would be easier if the player was allowed to be given the choice if he or she wants to go straight to a G1 Cup or continue in a G3 Cup to improve their stats. The Turbo card is no help as it only give a small two second boost. 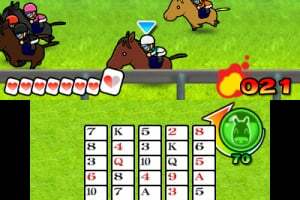 The only way to really make the horse run is with two Turbo cards but, instead of both cards being used simultaneously, it would be better if you only used one Turbo Card at a time. 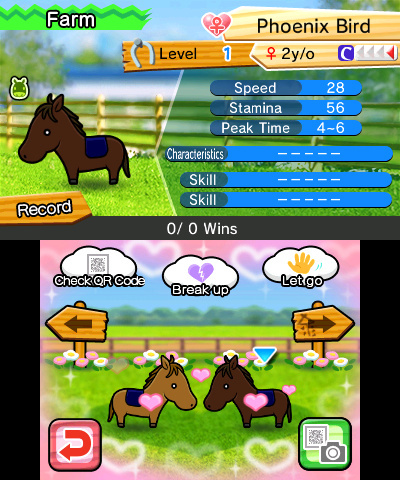 When breeding horses, the new horses are basically given the same stats, such as a speed of 25 and stamina of 50 or a speed of 24 and a stamina of 48. It would be much better if any new horses that were bred had higher stats like say a speed of 32 and stamina of 60. Speaking of Stamina, I'm constantly losing Stamina Cards even when I play a perfect round of Solitaire. Instead, Stamina Cards should not be taken away whenever a perfect game is played. 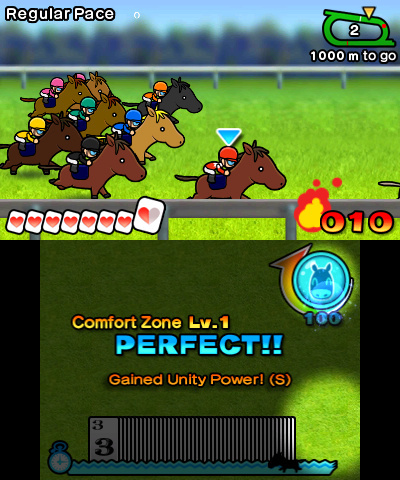 Also, a player should be able to train his or her horse so that the horses stats can go up. There is a training area but, it's only used to see how fast a player can clear a game of Solitaire and nothing else. I'm sorry but this is all true when I say this game isn't worth the time or money. Don't let that guy above me fool ya. I've put so many hours into this game and, for $5, it's totally worth it. Who new solitaire and horse racing could be so ADDICTIVE.